We were talking about this on the NS2 Discord the other day. UWE has some experimental balance changes they are testing that may or may not make it into the game. I think this one needs some serious feedback from the community, so I am making a thread. I was a little confused by the gorge clog nerfs. The reasoning behind the clog nerfs as told to me by Schu and Ironhorse is that clogwalls are annoying. Let's get UWE some feedback. Please keep in mind that these are experimental changes being tested by UWE which means they may not actually put them in game. That shouldn't stop us from providing feedback. Such a strange card. Clogs don't gain maturity at all, so what does removing maturity mean? Also, clog walls are very easy for marines to defeat right now. Click here for details. I've never heard of clog maturity, either. If that's a thing I'm in favor of removing it. I don't really see the point of the other changes, honestly. Clog walls don't hold a room. Hydras, healing gorges, hive healing and skulks do that, as well as marines too scared to move past the hydras. The clogs help but I don't think they're an issue. A slight nerf for ClogHP might be viable so Marines can actually oneshot Clogs with a Shotgun after a certain Weaponsupgrade. The issue with Clogs is that - especially lower skilled players - tend to build trumpwalls to block an entrance. As pointed out they are quite easy to defeat for Marines, but the downside is that usually Aliens are hurt much more due to these clogwalls. - The Room AFTER the Clogwall is wide open... so once they passed through (maybe with a few meds) Marines have an easy game. Having several clogtowers (2 clogs on top of eachother) makes the fighting in big rooms much easier. Marines need to either waste bullets in the clogtowers or miss bullets while trying to shoot aliens in between. Aliens can not only use this as cover but especially skulks can use these artificial walls as jumping point to gain speed. 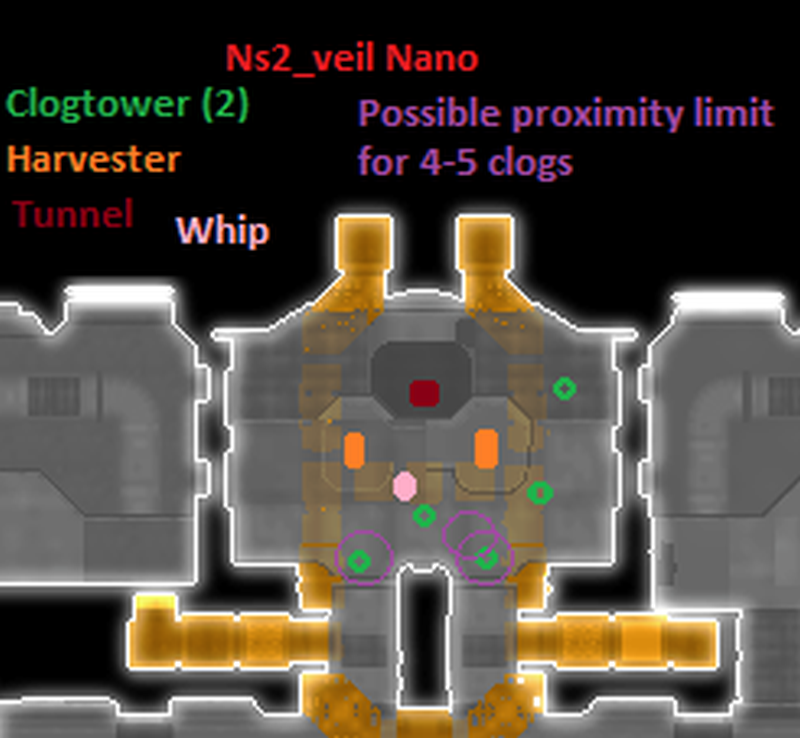 I hate clog walls more than any other, but this would be hands down one of the worst changes to hit NS2 in quite some time. Clog walls are a non-issue for Marines as they are super super easy to shoot through or jump over. Plus they do nothing to protect you as Gorge when the Marines simply hop the wall and you're left helpless. Rookies also often only build walls 2 clogs high, so limiting it to 8 won't really do anything to stop them from building their terrible walls. On the flip side when you use clogs correctly to build pillars for dodging, or stairs to reach inaccessible areas, there are many times where it's tough to manage with only 10. This would be such a massive nerf that is completely and wholly unnecessary. I have made it very clear how much I despise everything about playing Marine, but the one Alien life form I can kill the easiest and have the least trouble fighting is Gorges!! They do not need any nerfs!! 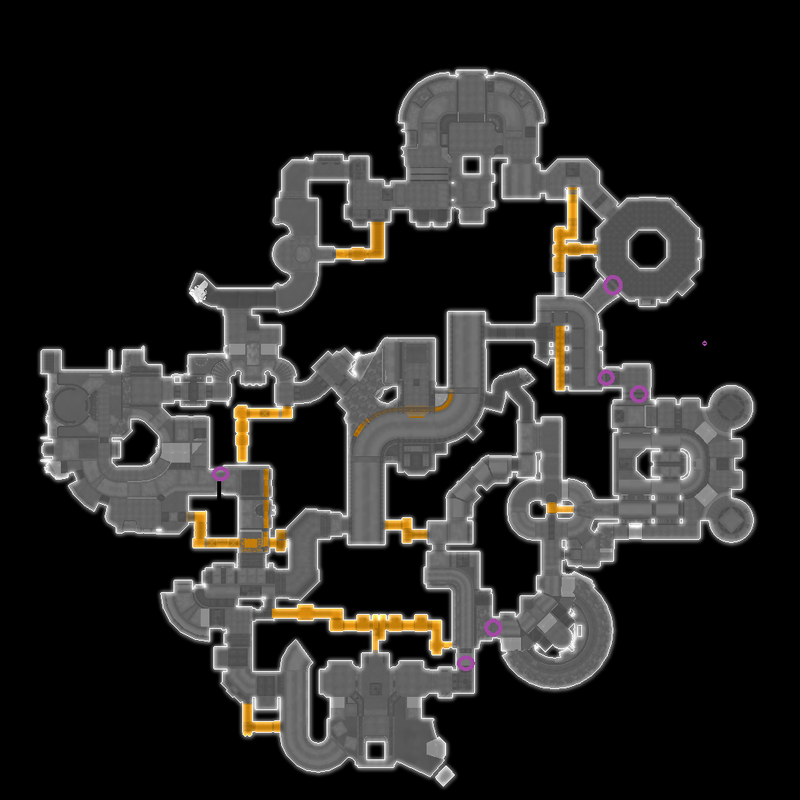 Dropping from 10 to 8 clogs would destroy so many of my strategies for certain maps because I simply wouldn't have enough clogs to create 3-4 pillars for dodging/fighting while still having a set of clog stairs to escape. It would do nothing but make gorges less fun to play. The only time walls are a problem is when you are Onos, just have onos charge destroy clogs.. or include a tooltip during loading telling rookies why walls are a bad idea. Much easier and better ways to solve this so called "problem" rather than hit our beloved piggies with such a completely unnecessary nerf. Can you figure out how to balance it while increasing clogs? it seems that someone comes up with a way to nerf something it's always decreasing things, why not increase to decrease? lower overall HP and increase the amount of clogs? that way you can place more but they're more vulnerable, 10 doesn't seem like enough to say defend a place like nano without first having it get raped whithin 5 seconds. How to make it rookiefriendly? When a Gorge wants to drop a Clog the Clog will shop up in a different colour... maybe red -> if you try to click it gives you a big message "clog proximity limit exceeded". Reducing the Clogcount will result in a giant Aliennerf and not solve the issue that clogwalls present. Me too. Reducing the limit and HP still allows for massive barricades if more than one gorge sets to the task. Good lorks and fades are annoying af too. Clogs cant event be considered real PvE, so its not THAT different. Here's another: increase grenade damage against clogs, instead of just nerfing them. Then it still provides strategic challenge. Okay, but then nearby shades should cloak it. Or make JPs drop to the ground like in NS1. It's not that useful in the first place, nerfing it wont help. That doesn't make sense. Tres tick is fairly good on marine side (challenging but managable), the problem is with Pres. Marines have too much of it. Are you sure clogs are the problem, and not how you play fade? Clog pillars and clog walls don't serve the same purpose. You need to adapt your playstyle depending on how the room you're fighting is configured, not adapting the game depending on how you play it. Sure, that'd be better if the tunnel was covered. Yet, you need to adapt how you play your lifeform. 1) don't go in a tunnel if Marines can hit you while entering it. 2) don't overcommit so you wouldn't need to rush out of the fight and take that risk. Game mechanics being "annoying" don't make them bad. I don't find that one annoying, it's part of Aliens' playstyle. It's very useful and can be countered if Marines adapt (or aliens lifeforms). If you really want people to drop clog pillars, which is basically one of the few things you could still do with your change, you may want to teach them and show them how better it can be, compared to clog walls. Clog walls have been used for years because it's a game mechanic that works, only a minority of players would use it if it weren't working. Show them how's your method better, you can be sure they'd be keen to reproduce it in other games. Though I don't think that would happen, since, again, clog pillars can't replace clog walls, both of those possibilities don't serve the same purpose. and if you haven't noticed I wrote that as well from the Marines perspective, because I'm the one often killing those Aliens alongside those walls - and feel kinda bad for them. Doesn't change the fact, that walls with a hole predetermine most aliens path and make them die. As stated, I've learned to live with it, but my team dies -> we lose; Carrieing as a Lerk or Fade has its limit. I think these "annoying" gamemechanics lead to the current trellocard and balancechanges in the first place. And my solution is trying to fix that problem without nerfing aliens to much or reducing clogcounter. With 4-5 Clogs you can still do a lot in that small area. 1) See my comment above. 2) Clogwalls might be useful, but once you meet skilled Marines they'll force themselves through (or take another route) and then they'll have a big open space to kill the aliens. 3) Teaching Rookies is always an issue... it is like walljump and ns2-strafing. Nothing official exists currently. 4) Just because something has been like that for years doesn't mean it is actually "good"
Anything to counter clogs should also be free. Having to pay 2 pres for a cluster grenade, or way more for a flamethrower, just to clear the annoyance of FREE clogs is not justifiable imo. Especially when, once you've been cleared from that room, the gorge can simply go back and block up that area again... FOR FREE! Clog walls are an annoyance for both teams... I've lost my lerk/fade a few times because a rookie has COMPLETELY block a room entrance behind me, so there is no way for me to get through at all... the rookie thinks they are doing a great strat, in fact, he/she just fucked me over. As a marine, dealing with clog walls may be easy enough, if I spend res to deal with it, but once that res is spent and the wall is gone... the aliens can easily take it back and do the same thing again. Edit - Just a quick note, i've been told that what i've written can be misunderstood, I am NOT suggesting that clogs should cost the gorge anything, not even close... I'm saying that the counter should also be free. I.E reduce the hit points of clogs so that a rifle has a better chance of clearing clogs relatively quickly. Meph isn't an NSL admin anymore! For not having played for years, and finding out just recently about these tiers, I can tell you that those barely represent what you can expect from players. Same about playtime. They, at best, let you know that those getting the highest tiers or the greatest amount of hours have a minimum of practice on NS2, but I don't rely on them to know whether I can trust my teammates. You make a mistake, you die. That's basics, right? Unlike you, I see few lifeforms dying that way. If they do, that's on them, and they were probably dead anyway because when they decided to rush out, it was already too late. I wouldn't say that games depend on this kind of scenario, and even if you're right about it, those are a minority of games that only end that way because players lost their lifeforms stupidly. That's a proposal, but I don't find it appropriate. 2) What's the problem with that? And what do unskilled players if not forcing themselves through or taking another route? When you put clogs on a room that's limited to one entrance (usually rooms have more than one entrance though), that's a strategy that either works, by preventing Marines from getting in, or fails and turns against them. Doesn't it make sense that you get punished for not using a good strategy or using one in a way that it fails? 3) And nothing will. It's not that difficult to tell them or show them in game. It doesn't need time or skill to show it your way. 4) You could change the whole game if you were to look at any mechanic that has its flaws, and you wouldn't stop with clogs. It has never been a 'real' issue so far, and still isn't, the few complaining about it do it because it causes them discomfort, although they could get around it with little efforts. I would dismiss it. It's not relevant. You may, at best, increase axe and welder damages to clogs, or/and allow lifeforms to remove it by hiting it (2 hits?) or 'charging it' for Onos. Don't you pay a Gorge? So following your reasoning, it should take that many resources to kill clogs. Also, still following you, why should we be able to kill webs with the axe since webs cost resources and axes don't? Anyway, I disagree with you. NS2 isn't a two equal sides fighting each other game, you don't make changes to make it symmetrical. Those differences make the game interesting. And you're right, Marines may use a lot of resources to get a wall destroyed, that's a strategy. You either think it's worth it, or you prefer to try another way. If you get rid of the wall, and don't do anything right after that, allowing Aliens to rebuild a wall, that's on you. Aliens shouldn't be able, once you control the room, to build another wall "easily". From an alien perspective, only skulks and gorges use clogs as platforms for jumping. (gorges for height, skulks for speed). To be honest, these are the more boring / uninteresting experimental changes. I don't really care about them because I don't think they have a huge impact. - Make Shades cloak Clogs. - Give Clogs and Webs a health bar when attacking them. Also, separating the research of Exos is a good thing. I am generally in favor of splitting the marine tech tree up much more to make it more interesting. If rail research is separate you can basically say goodbye to seeing rail exo being researched... and when it is researched it's likely to be by comms who think it's better so they won't get regular exo... I just fail to see any positive side to such a change in any way? Except you also have to spend res to go gorge first to even place clogs! And then you're not a skulk or better lifeform. And marines can destroy a clog in about the same amount of time it takes a gorge to build the clog with their FREE rifle. That argument is flawed. You could also say then: Say goodbye to shotguns, mines, grenades, jetpacks or anything that requires research. The positive side is that comms have to make one more choice and have to think a little more about priorities. When to spend how much res on which tech - this is an integral part of an RTS game, unfortunately it is very diminished in NS2. So anything that puts NS2 more in that direction is something that is good. Separating the research would further cement the death of the railgun exo. It would never be researched since it is already extremely bad at the moment in comparison to jetpacks or the minigun exo. In that case the problem would not be the need for research, but the balance of the Exo. Complete noob trap and potential waste of pres if you mistakenly click it. Except for the fact that shotguns, mines, grenades, jetpacks, or anything else that requires research isn't considered "useless" by most of the community in general the way railgun exo's are. It's already difficult enough sometimes just getting a commander to research exo's at all because they consider them "a waste"
I totally get where you're coming from, that more options in tech paths for the commander is a good thing... but not when it comes to the single least used thing the Marines have in their arsenal. All this change would do is lead to railgun exo virtually never being researched. Let me quote myself then: In that case the problem would not be the need for research, but the balance of the Exo. It will not make it into the game anyway because IronHorse doesn't want it. It all really depends on what you consider problematic about clogs. I like to think about how things affect gameplay from both the marine and alien perspective. For aliens its pretty obvious, getting blocked by clogs can be super frustrating. Whether it be a risidual clog in a vent left by a vent gorge battle, a small opening in a clog wall that mistakenly looks passable, or when you leave a hive and return to heal up only to slam into a brand new massive clog wall blocking your best route to the hive. I think the best solution to this problem is to make the "hold to destroy clog" button instant or near instance or allow bite/swipe/gore and charge to destroy clogs in a hit. So if a gorge mistakenly doesnt leave an opening for lifeforms to pass through, lifeforms can themselves quickly create one. Vent clogs wont be much of a delay either, and as a plus it would allow a lifeform to clear the clogs that a gorge used to access a vent so that marines will not be able to easily follow. I personally dont think that clog walls themselves are problematic for gameplay, they have their advantages and disadvantages for both sides. Alien movement through a clog wall is more predictable, making them easier to hit, but they also slow down marine advancement and make marines very susceptible to ambush when navigating through a clog wall. I think the most frustrating thing for marines is when there is a gorge or gorges constantly replacing destroyed clogs. 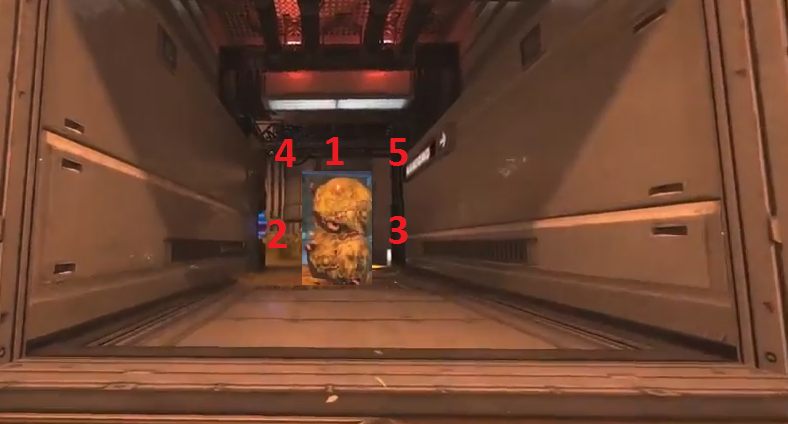 If a gorge sits on 3 hydras and is using clogs to protect a crag and a tunnel in a small space (like sub rt, or repair rt), it is immensely strong and hard to break, even with clusters. The amount of ammo marines need to dump in these situations is insane, and allows gorges to hold positions in situations that they should otherwise not be able to hold. I think the solution for this is maturity, and possibly a longer delay before subsequent clogs can be dropped. Making immature clogs easier to kill, will force the engagement to be decided by the aliens ability to respond to the tunnel under threat, instead of a single gorge being able to delay many marines for a significant time. This should not prevent an escaping gorge from using clogs in a pinch to soak some bullets. No need to reduce the number of clogs. nah, gorges would have to feed on marine corpses to gather enough biomass for clogs! I dont like the idea of clipping through clog walls as aliens. This will basically turn the healing / support class of gorges into a healing / Trump Wall Engineer. I can see it now... Gorges always on the front lines building defensive walls that the aliens will just pop through, get a heal and pop right back in to combat. That sounds awful to me. Or possiblly interesting. Im conflicted. There are 2 fixes off the top of my head that I think will help remedy the clog situation. 1.) Make clogs instantly disappear when pressing X. Basically get rid of the timer. 2.) Make clogs visible through walls. If an alien can see these barricades through walls then it will be easier to judge their escape route. Players can still get caught if they are not paying attention however any skilled enough player can make quick judgements to see if there are any openings. It require adrenaline if memory serves. A marines can remove it for free with his axe. Can we just NOT talk about nerfing the Kharaa... again. Do you all fell in the trap? When was the last time you heard about a good "buff" on Kharaa side ??? To me as i witness it; this last patch (323) showed us a good thing in the form of a symptom. In order to remove the Tunnel rush the tunnel has been modified so it takes longer to build an exit. The problem is (and i don't get why the devs didn't see that) : The Kharaa are so crippled generaly speaking that this is the only thing they could do. Trying to adapt to this last iteration(323) have failed. Badly if you want my opinion, but Kharaa tried. Not from a lack of skills. So instead of trying something which does NOT work, the Kharaa industrialized/optimized the tunnel rush like "we go all in". I witnessed many times this scenario. The goal was to remove the usual tunnel rush. Too bad. It's the opposite that happened. Thanks Obama! And now i see this: The Kharaa stack and even if the marines have more rookies they still resist the supposedly overwhelming force coming at them. It makes the games last longer for no reason as all know what will be the outcome. A Marine at heart see the tunnel rush as an easy win but it's the only thing that was left on the Kharaa side to properly deploy and push on the map. I'm not talking about base rush only in this last sentence. I just say to the blue guy : "hey look behind for once CS boy, yeah you know the map...". On some over game i've seen on a "better skilled server" the fall of 3 hives in less than 6 minutes. We could win that only because we could rush a base and finally have a hive gestating. The JP was the chosen asset. No wonder as focus and leap could not stop them. That's insane. I'm not proud of that victory, it was luck and with no tunnel. Whatever happened; it's too easy for the marines. Way too easy. Why tunnels are so important on the Kharaa side ??? Simply because the nerfs at every patch did make the game so hard for them that they turned on the tunnel to be able to sustain the damage level. Especially on large servers. You do what's efficient. You do what's left. Ok the summer sales are here. I get that. But I'm not here to entertain those rookies in a sitting duck contest. What's the point of having a game nobody wants to play Kharaa as it is harder and harder ? I'm not sure it will improve the playerbase situation. The kharaa should be able to choose ANY of the THREE strategies, whatever they play on the 12vs12 slot server or a 25vs25. As an example you just can't play Kharaa against 5 marines in the room with a carapace designed for a lower player count. Depending on the area/room/map the 5 ranged weapons can easily remove 5 skulks from the board. Adaptive balance is the key. Also it should be tested with people who can see clearly cloaked skulk and such tricky things.